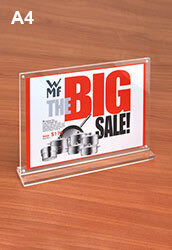 These Clear Acrylic Sign Holders are Upright Displays that Show Posters in Style! 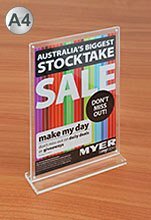 (127 x 178mm) Holder Acrylic Frame 5" x 7"
(102 x 152mm) Holder Plastic Frames 4" x 6"
(89 x 127mm) Sign Holder Perspex Frame 3.5" x 5"
Clear Acrylic Sign Holders Offer Stylish Way to Place Graphics in Your Business! 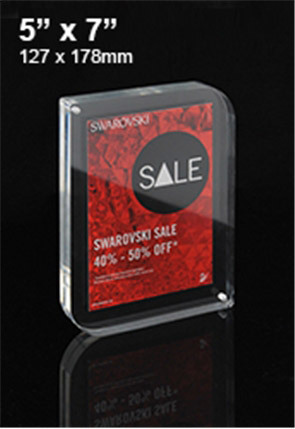 These clear acrylic sign holders offer premium quality stands that can be use to place graphics around your business in a stylish manner that will surely capture the attention of passersby. 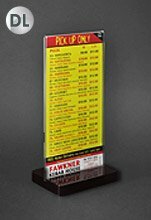 Magnetic acrylic sign holders offer many styles & sizes, able to best fit in with your business needs and décor to advertise to potential customers. 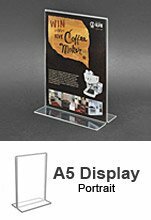 The plastic displays, clear acrylic sign holders are useful in many different businesses, including restaurants, pubs, cafes, art galleries, museums, transit stations, bars, exhibition halls, retail stores, jewelry shops, take-aways, bakeries, and so many more. 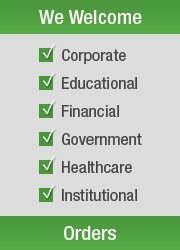 The diverse selection of styles makes it easy to find the right way to provide information to customers in a stylish manner at a low cost. 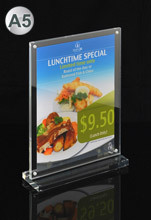 These clear acrylic sign holders, also known as photo frames and menu rolls, offer a durable way to place signage around your business. 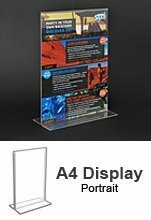 Photo holders, plastic frames, and other magnetic acrylic sign holders include menu holders that offer DL, A4, & A5 sizes to hold different standard sizes of graphics. 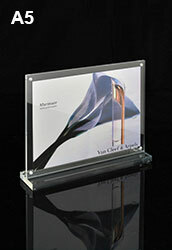 These displays are made from 3mm thick clear acrylic, offering a frameless design that looks stylish in any room. 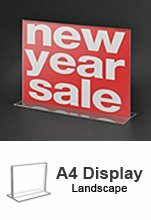 The frames feature button magnets that keep (2) acrylic panels securely together whilst sandwiching the graphic in between for a floating effect that is desirable. 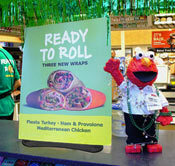 The clear panels make it easy to read what is on display as well! 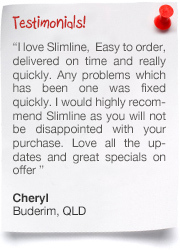 The edges of the panels are polished in order to maintain a professional look that works well within any décor or environment. 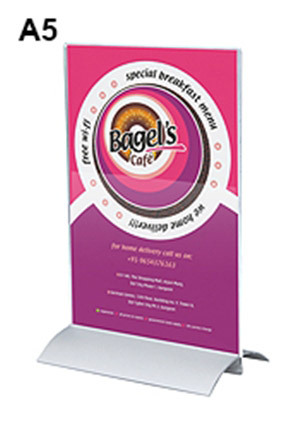 A solid 10mm thick base on these stands helps stabilise your signage holder when placed on counters, desks, tables, or other flat surfaces. 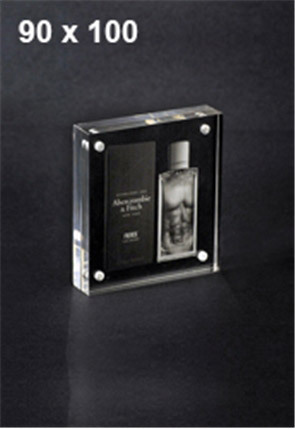 Each stand is able to hold either a landscape or portrait orientation graphic, with the individual product pages showing the exact ones that are able to be held. 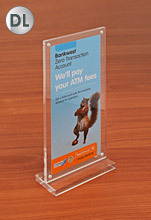 Aside from this style of straight up plastic sign holder, there are also block frames that utilise thick panels without a base to really stand out in any location. 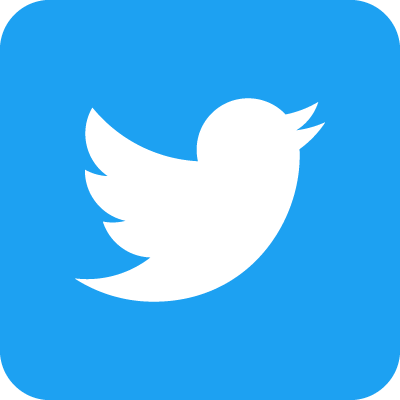 The truly stylish look of these frames are great for use in more upscale environments such as restaurants and jewelry stores. 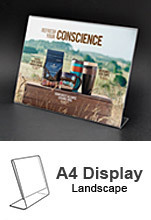 These frames have the same super strong button magnets to hold the panels together, with graphics changes in both styles of displays requiring less than one minute with no tools needed! 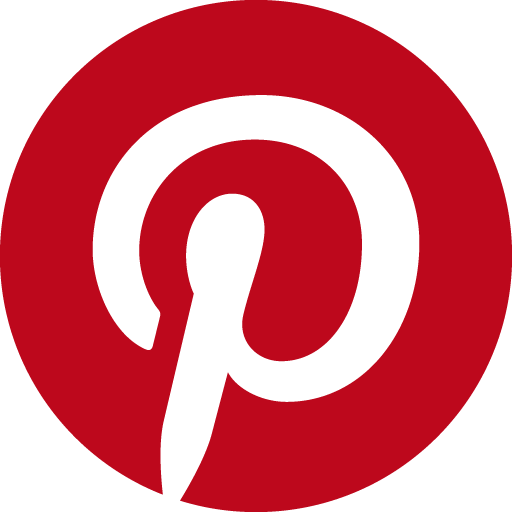 Slide the two panels apart to gain access to the interior, change out photo, poster, or picture, and then let the (2) panels gently come back together! 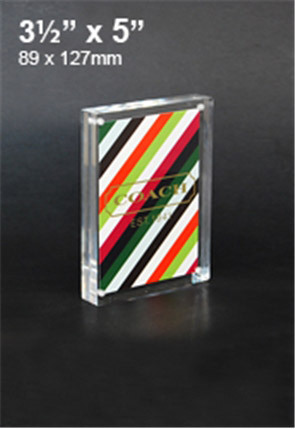 These holders offer two different styles, with straight-edged blocks and those that have (2) curved sides for a more modern design that is great for drawing attention. 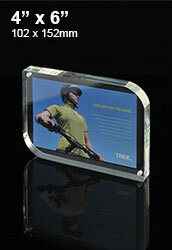 These styles of photo holders are able to hold standard sized images such as 3-1/2" x 5", 4" x 6", & 5" x 7". 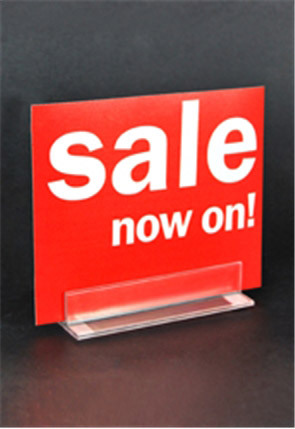 Choose from these great looking plastic signs to really gain the attention of anyone as they walk around your business! 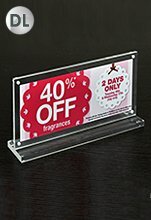 The other styles of signage that we offer features flat bases that the acrylic holders fit into for a different look that is also able to match with any décor. 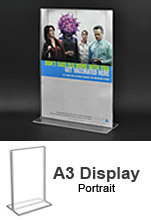 There sizes available with these products includes A4, A5, DL, & A3 graphics for heaps of options in which posters you place around your business. 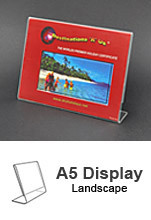 These holders are able to hold both landscape & portrait format graphics, though each base is meant to only hold one style so please check individual products pages to learn more about each format. 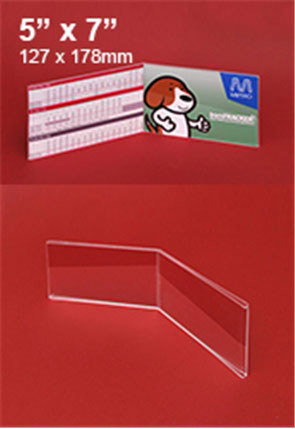 These holders use clear plastic to hold your graphics in place, with each holder able to be used as a single or dual-sided display. 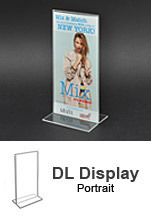 By using one of these frames as a double-sided holder, you can promote in multiple directions at once without taking up additional counter-space to maximise items on your table whilst reaching out to more people! 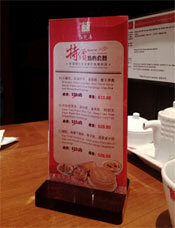 The aluminium base of these signage holders has a silver finish to present a professional look for any environment. 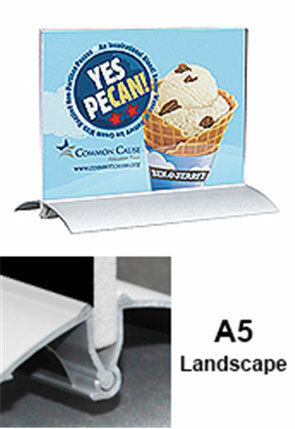 Switching graphics out of these holders is easy as well, as the slide-in design allows you to quickly & effortlessly change out posters in less than one minute with no tools. 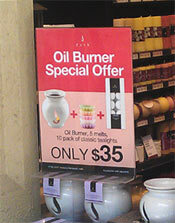 Other types of plastic displays offer include acrylic bases that can hold different sizes of signs with ease. 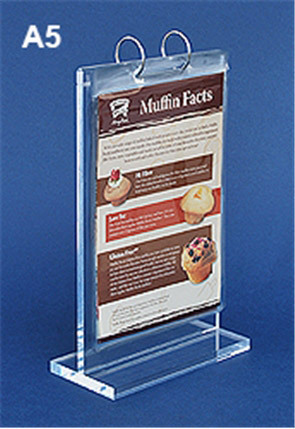 These holders are all made of thick acrylic with a wide base in order to provide a stable display that easily works on any counter or table. 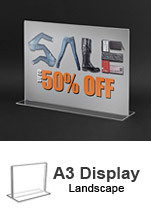 Graphics slide in between the stand in the middle for a secure way of placing signage around your business! 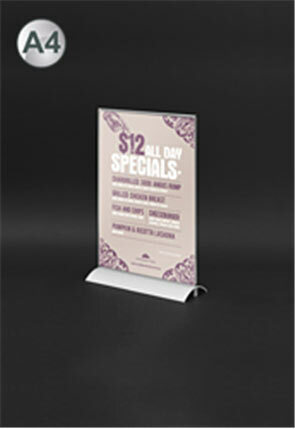 There are also menu rolls that include vinyl sleeves for placing your graphics in to show cocktails, menu items, specials, travel destinations, product specs, and more. 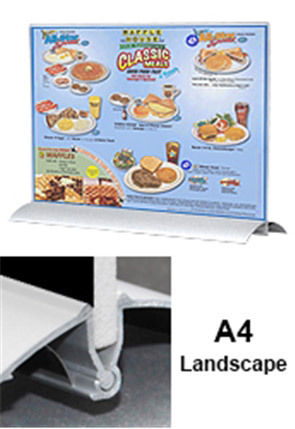 These displays are typically used at restaurants, pubs, and cafes as they are easy to clean in order to maintain a hygienic environment. 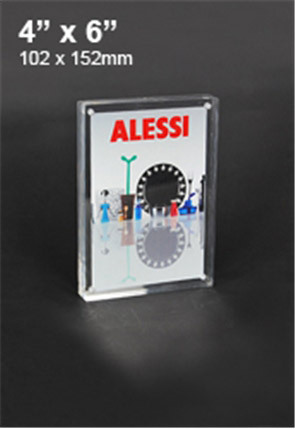 These holders have an acrylic stand that is clear to work with any décor, and aluminium rings on the top make it easy to flip through graphics for patrons. 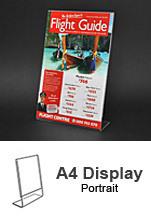 There are different sizes available to hold your posters, including A5 & DL sizes to best conform with the needs of your business. 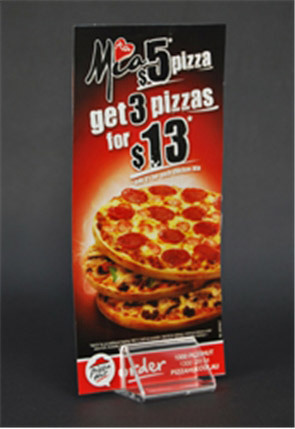 All of these straight signage holders help to create an effective marketing plan that will work great for your business! 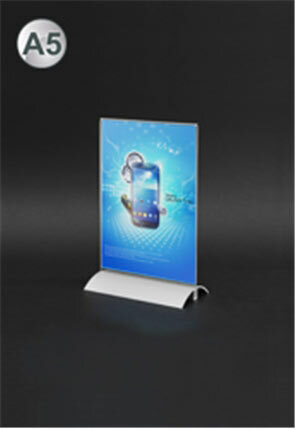 Plastic frames aren't the only style of product currently offered in our wide array of poster holders. 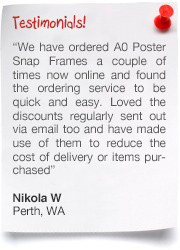 You may also choose from various styles that include aluminium clip frames, offering quick change posters in less than one minute with no tools required! 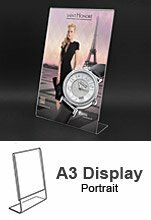 Our various counter signage holders include other premium quality holders that work well within any environment to show customers important information in a stylish manner. 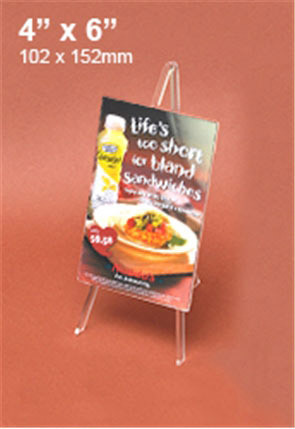 With table tents, easels, & other styles to choose from, there is surely a version that will work within your business. 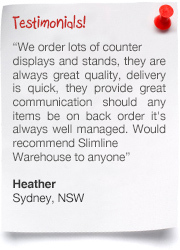 Check out our extensive online catalogue for hundreds of different displays in a huge variety of different styles. 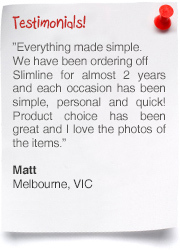 We add new items to our categories weekly in order to stay current with the latest trends, technologies & styles to help keep our customers ahead of the competition. 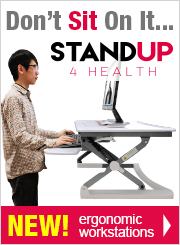 From exhibition displays, poster holders, photo frames & lecterns to portable counters, sidewalk signs, business card displays & iPad stands, we will have something that can be of use in your business! 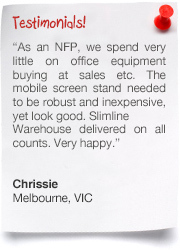 Slimline Warehouse has been a leading supplier of quality products at low prices to Australians for over 20 years. 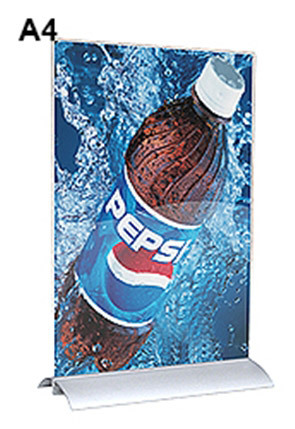 With so many POP, POS, retail, & exhibition displays to choose from, we have tested all of ourv products to ensure our items from vendors around the world are made of quality materials so that you receive a long-lasting display. 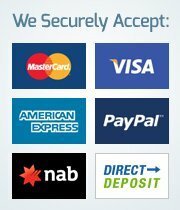 Despatch is offered same day with most in stock products that have been purchased by 1pm EST to anywhere in Australia, including Sydney, Perth, Melbourne, Adelaide, Toowoomba, Gold Coast, Brisbane, Hobart, Cairns, & Darwin!